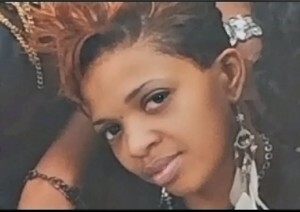 Aug. 2 — Ralkina Jones is yet another African-American woman who died in police custody under suspicious circumstances. Jones, 37-years-old, had an alleged altercation with her ex-spouse, Brandon Jones, in a parking lot in the suburb of Cleveland Heights, Ohio, on July 24. Although Mr. Jones refused to press charges, the Cleveland Heights police took Ralkina Jones to the local jail on charges of felonious assault, domestic violence and child endangerment. The Jones’ 12-year-old daughter was in her mother’s car when she allegedly attacked Mr. Jones and his vehicle. By Sunday morning, July 26, Ralkina Jones was still in jail and dead. Jones had been suffering from several medical problems and was under a doctor’s care. Her family visited her on Saturday afternoon and she was doing well. By early evening, however, Jones was lethargic and taken to the HealthSpan emergency room. Twelve hours later, she was found dead in her cell. An autopsy report released July 27 said “no suspicious injuries” were visible on Jones’ body. (St. Louis American, July 28) As of this writing on Aug. 2, no official cause of death has been determined or released to the public. In all likelihood Ralkina Jones would be alive today if she had not been tossed into jail and mistreated in a racist and deadly manner.